HarperCollins Biographies : work – typefunction. 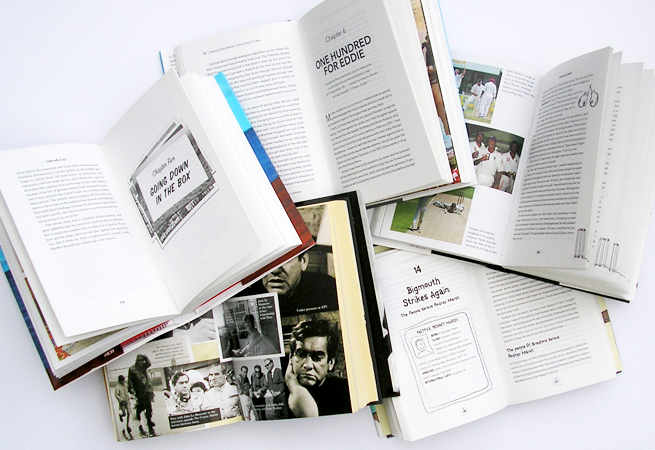 At HarperCollins Publishers, Colin Hall designed many biographies and autobiographies, most of which involve mono text pages and 4 colour plate sections. 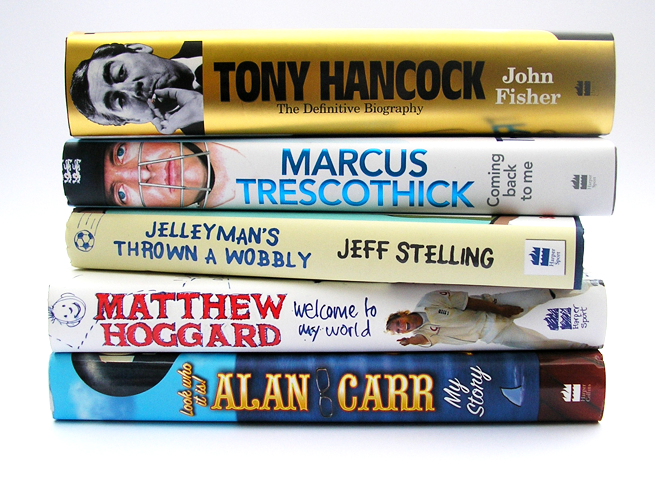 All of these books have individual styles usually related to the person the book is based on, some can be fairly straight, others require some basic illustration to liven up the text page, most have colour plate sections, which increasingly needed to be stylised beyond a standard plate section. Matthew Hoggards book even went as far as having a flip animation throughout of a cricket ball heading for the stumps throughout the book. A Selections of text page, including plate sections, chapter opening spreads.